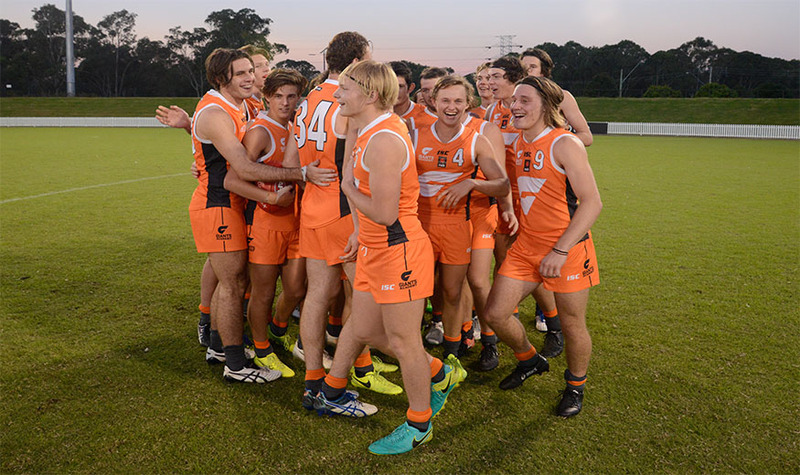 The GIANTS Academy is holding an open trial for males turning 16, 17 or 18 in 2018 at Hughes Oval on Thursday, 16th of November. 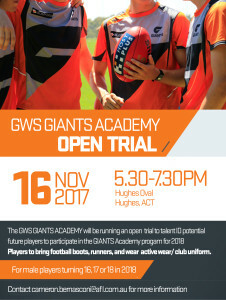 This is an opportunity for any player interested to show off their skills and potentially participate in the GIANTS Academy program for 2018. 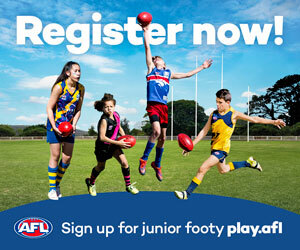 All players with or without AFL experience are welcome to attend this trial. 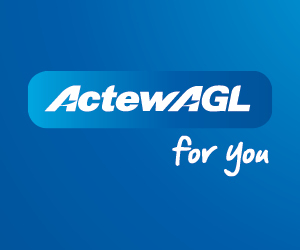 Players are asked to wear club uniform/active wear and bring their runners, boots, drink bottle and mouthguard. 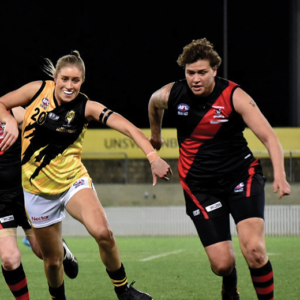 The trial session will consist of a range of athletic testing, followed by a modified game. 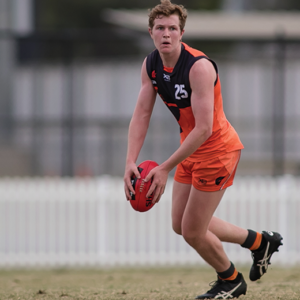 For further information about GIANTS Academy or talented player pathway – please contact Cam Bernasconi on (02) 6214 2312 or Cameron.Bernasconi@afl.com.au.